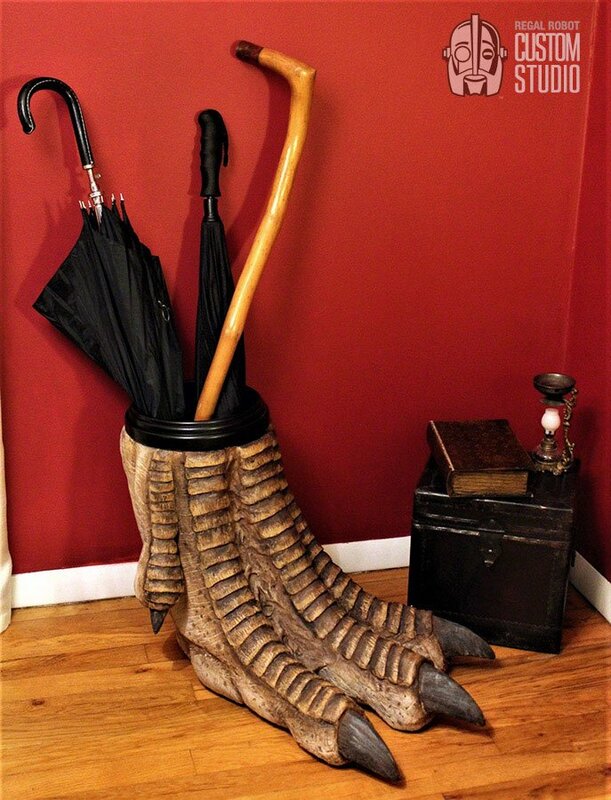 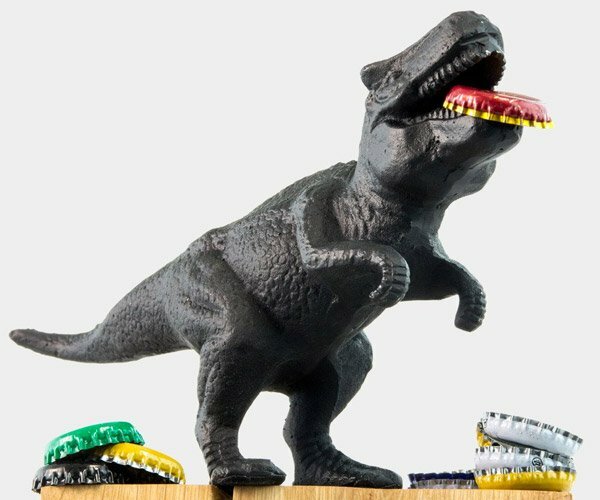 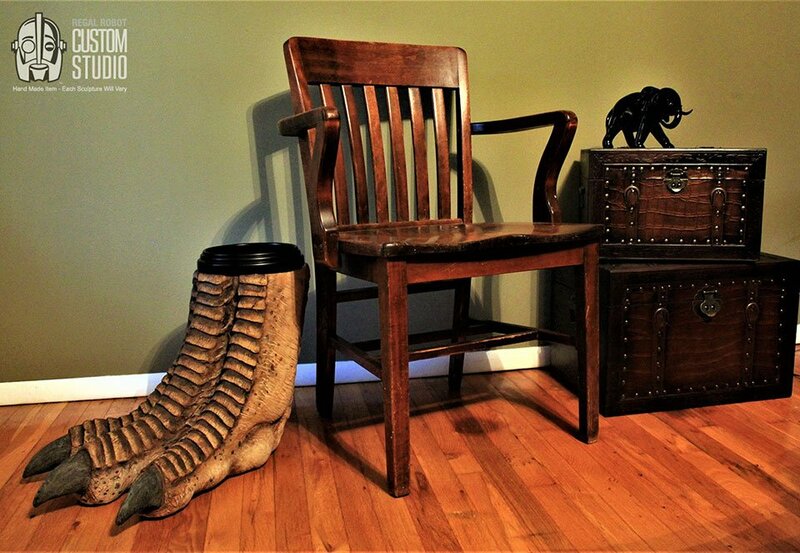 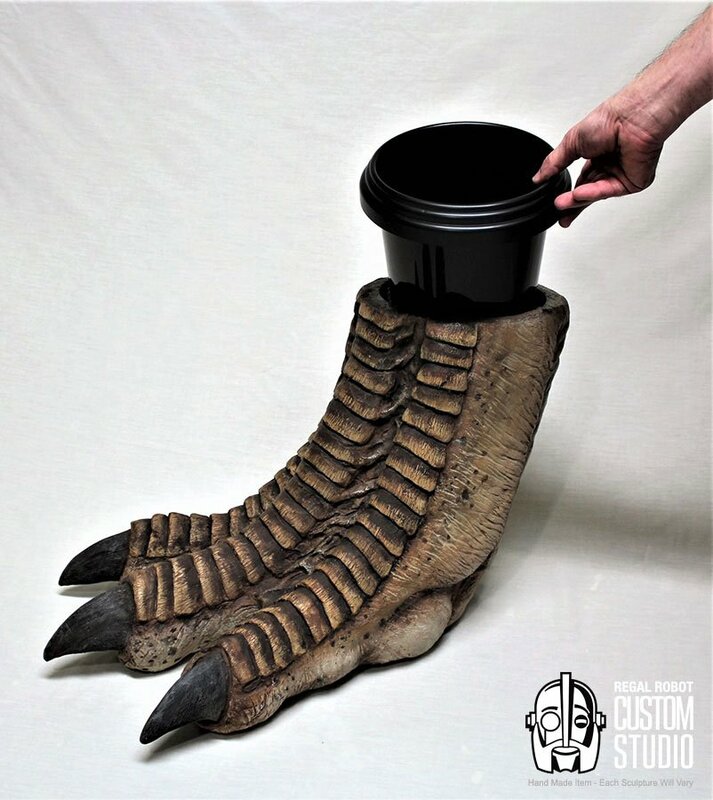 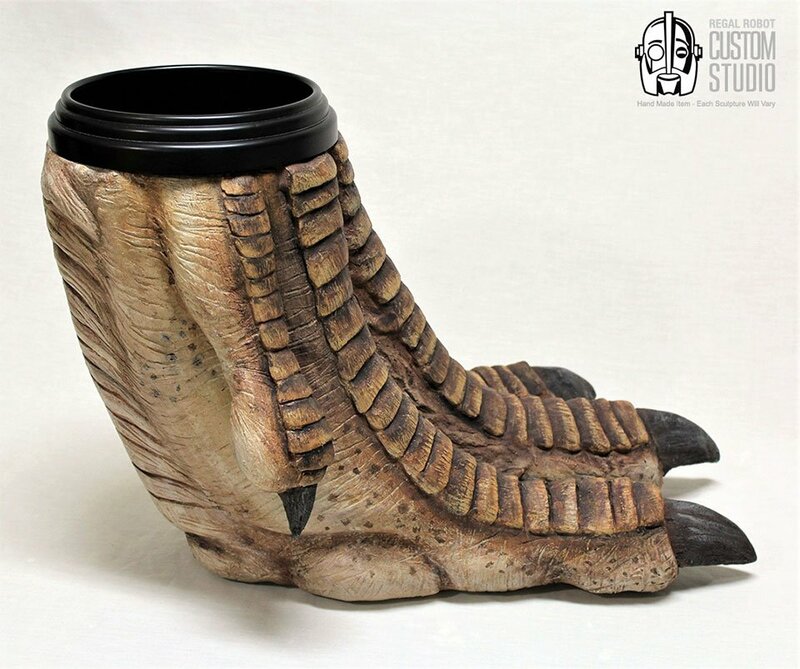 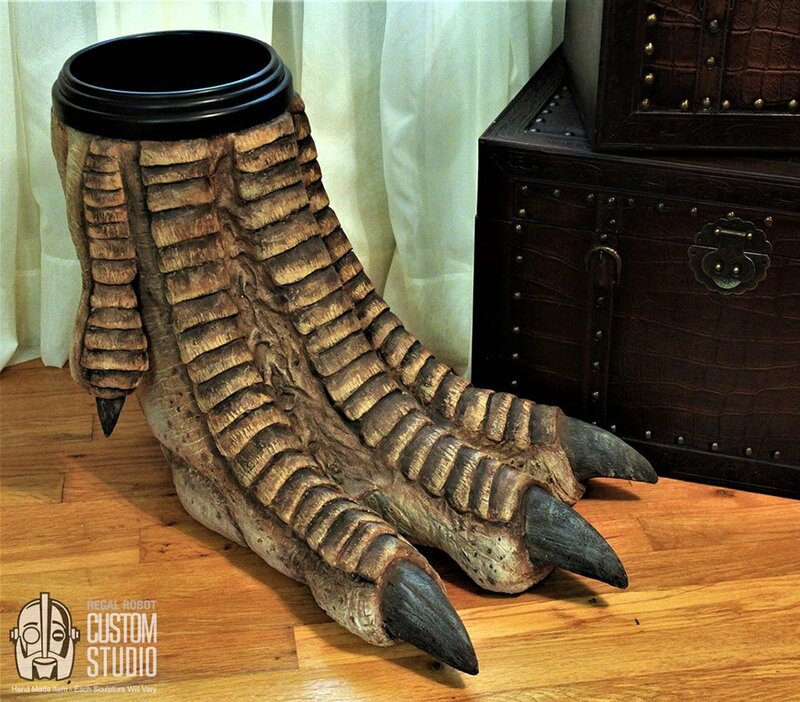 Hide your trash with Regal Robot’s highly detailed dinosaur or dragon foot waste basket. 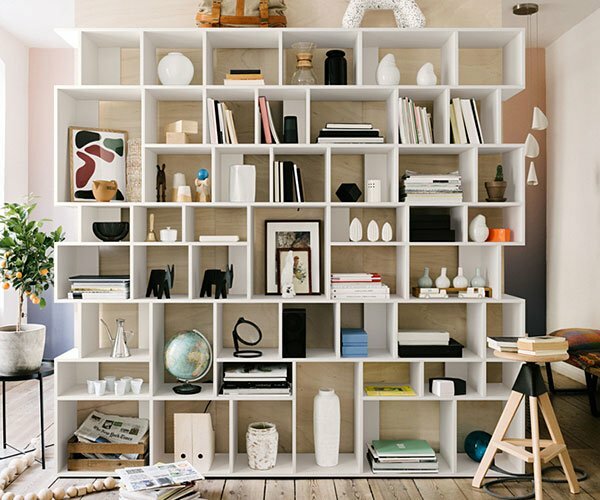 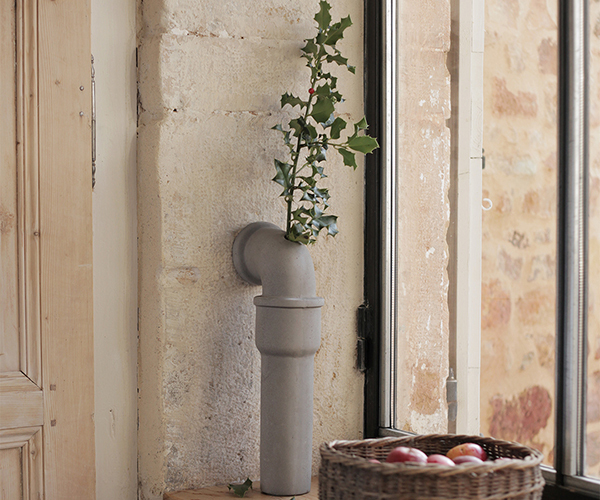 You can also customize its size so you can use it as a planter or any other type of receptacle. 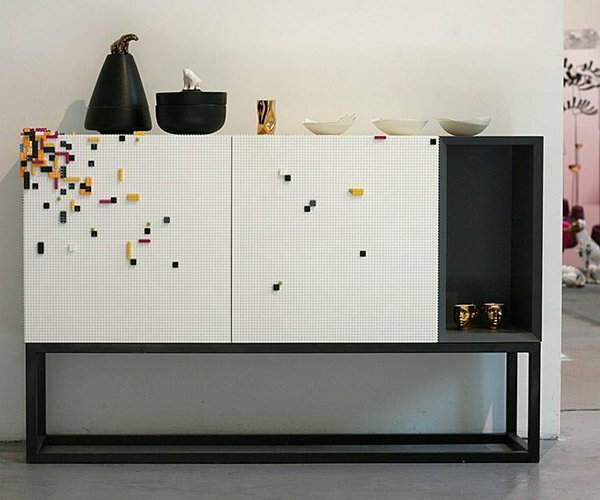 You can also customize its color and style.